“Harmony” is a spiritual names chosen for this piece. 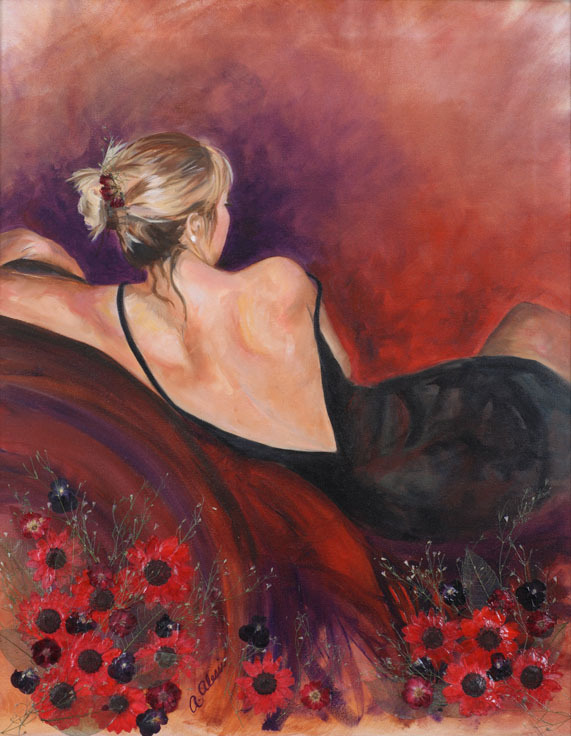 Vibrant colors with real flowers are used to express this female figurative works in mixed media oils by Annette Alessi. This very decorative piece has wonderful reds and vibrant purples throughout the art. High quality Giclee Print.